Aunt Nannie, originally uploaded by conradh. My father’s great aunt. She arrived here by wagon. Made biscuits in the yard in an iron stove. We are closer than we think to the pre modern world. 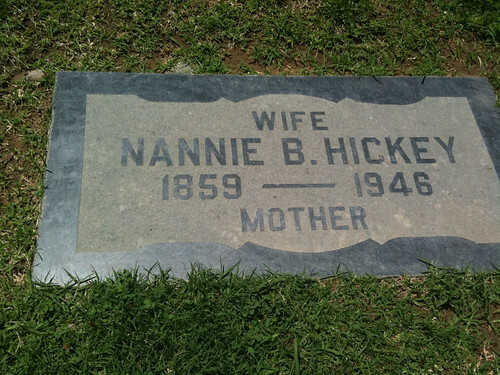 nannie is such a great name. [off-topic font nerd time!] I’ve seen this same kind of stone lettering on a couple of building plaques in LA from the 30s and 40s. I wonder how they were made.